Huge Thanks to Our Sponsors & Partners! 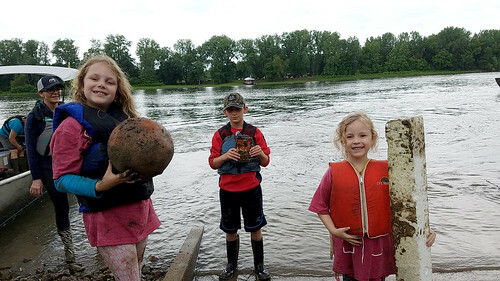 This was our first time cleaning up the confluence of the Osage and Missouri Rivers since 2008. 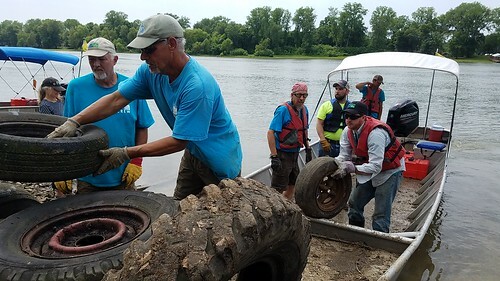 Our crew member Soda Popp hosted the clean-up crew camp at his home, across the Osage from Bonnots Mill River Access, where the clean-up was based. Just as the first volunteers of the day started signing in and picking up their t-shirts, the storm clouds opened and people headed for cover. It was a deluge, with unnervingly close lightning. The land itself turned into a river for a moment, and we couldn't see across the Osage River at times. As the storm moved past, we suddenly realized that the parking lot had filled up with vehicles and over 50 smiling people came striding up to register. Those smiles were the theme of the day. The dicey weather meant we lost some volunteers, but those that showed up were nothing but solid gold. With positive attitudes and smiles, they got more work done than most cleanup crews twice their size. 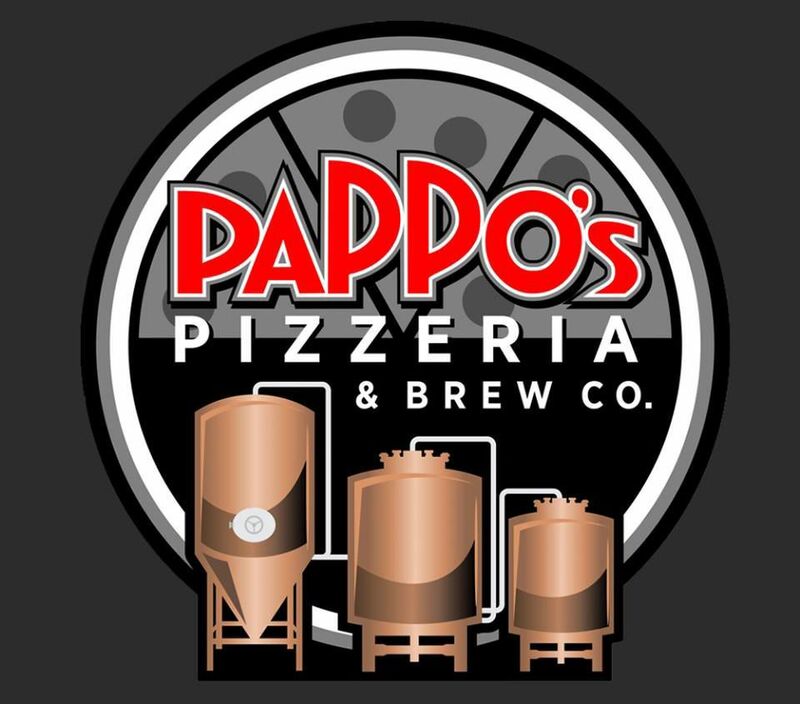 We are grateful to all the Missouri River Relief Crew who made it happen and to Soda Popp for hosting our crew at his paradise riverfront across the Osage from the clean-up. And we are very grateful to all of our sponsors and partners listed on the right. Thanks to everyone who ignored the weather and pitched in!